Children splashed in water, played in sand, and enjoyed the great outdoors as their new eco-friendly nursery was declared officially open. Abacus Nursery and Childcare Limited in New Romney, which is rated Outstanding by Ofsted, first opened its doors in 2005 with just six members of staff and only 20 places available per session. Staff and children have always been interested in environmental issues and the youngsters grew their own fruit and vegetables, in homemade greenhouses made from recycled bottles, to eat for snacks and at lunchtime. 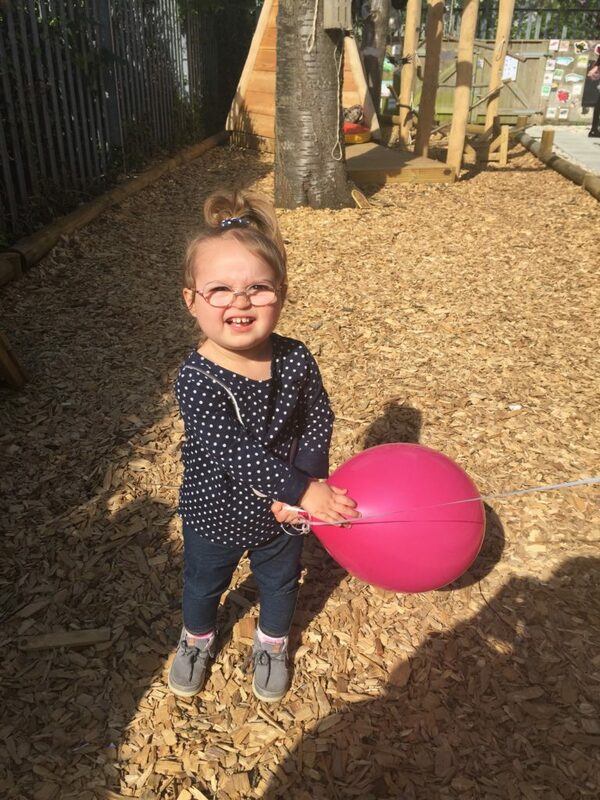 The nursery quickly grew in popularity and in 2014 a small extension was added, which allowed it to offer funded places for two-year-olds through the Free for 2 in Kent scheme. But no sooner had Abacus expanded than its waiting list grew once again, and staff realised a more dramatic approach was needed. In 2016 the Department for Education announced it was offering capital funding to support pre-school settings wishing to offer more places to three and four-year-olds of working parents via the 30 hours free childcare scheme. 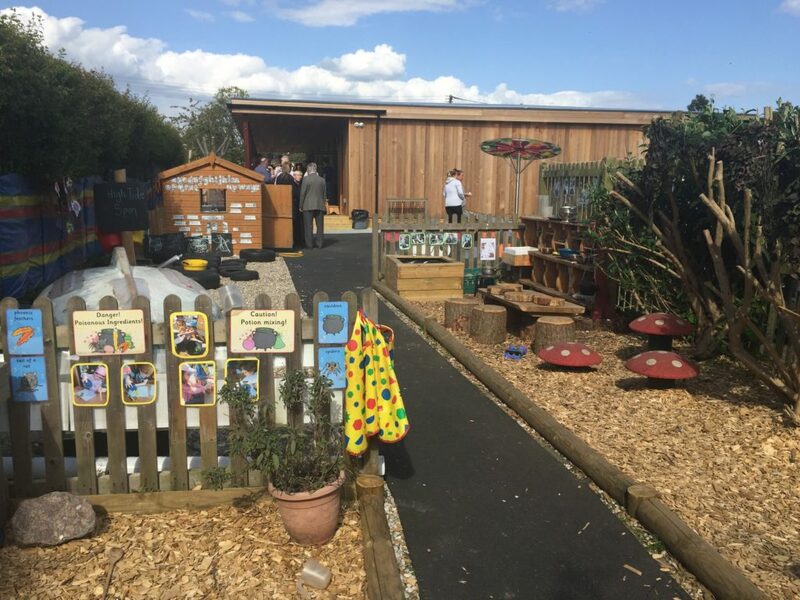 Kent County Council and Abacus submitted a joint funding bid and, after initially being unsuccessful, they were awarded approximately £500,000 in 2017 to build a brand new nursery complete with an exciting outdoor space. The large wood-clad building, on the St Nicholas CE Primary Academy site in Craythorne Lane, features 15 innovative ‘sun pipes’, special tube-like devices that allow natural light to flood into the rooms, as well as floor-to-ceiling windows that serve the same purpose. 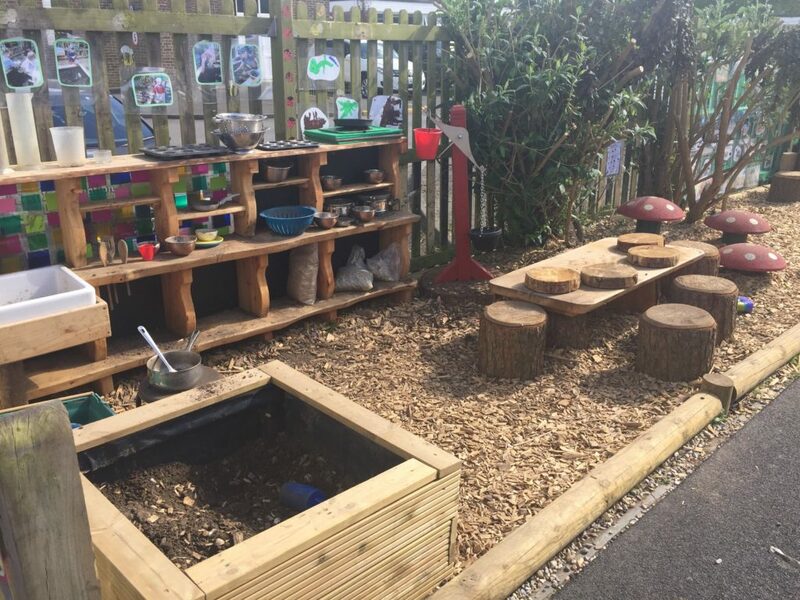 Wide doorways in every classroom encourage the children to venture out onto covered decking areas and beyond to explore a water feature they can operate themselves, a beach area complete with sand and toys, a noisy music area, an exciting mud kitchen and much more. The children were even involved in the development of the building, suggesting ideas, checking up on the builders and creating their own miniature versions of the nursery from cardboard, foil and other materials. The nursery’s new outdoor area features a small stretch of land for vegetable plots where the children will sow more seeds. And the recycled bottle greenhouse will be reinstated! Abacus Nursery now has two classrooms, a lobby, tea room, accessible toilets, and a quiet room. It can now accommodate up to 70 children supported by eleven members of staff. 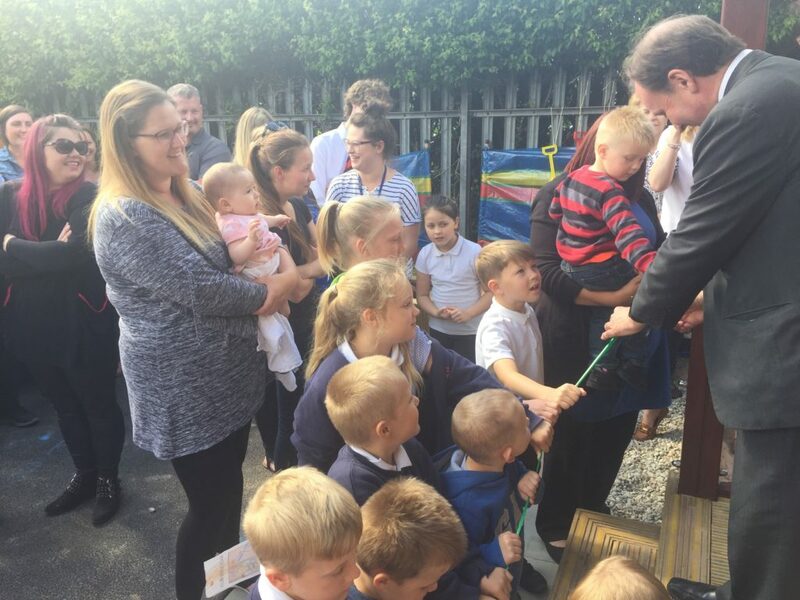 On Thursday, May 10, the building was declared officially open by Kent County Council’s Cabinet Member for Children, Young People and Education, Roger Gough, with help from all the children at the nursery. Following a speech by Mr Gough, the youngsters held onto a long, bright green ribbon tied across the building and outdoor area as the councillor snipped it in half. 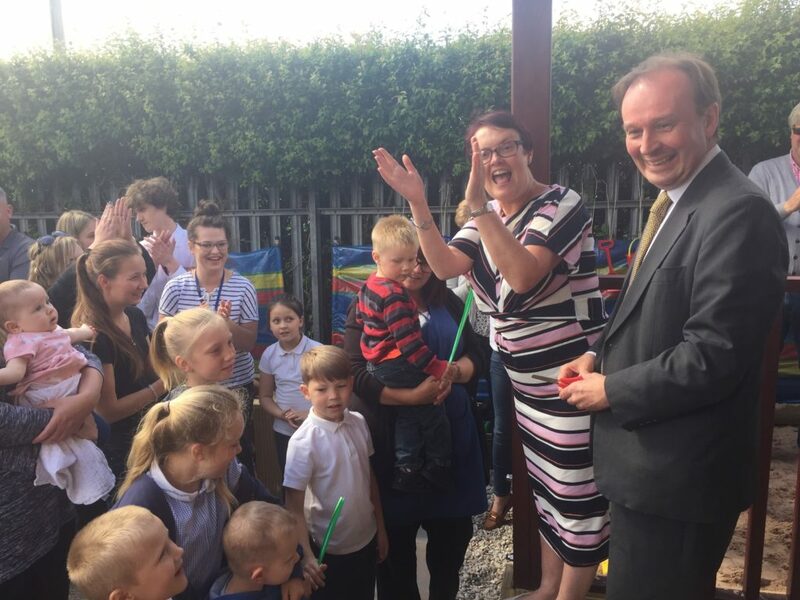 Addressing staff, children, families and special guests, Mr Gough said: “I would like to say thank you to everybody who made this possible. There’s been a huge amount of hard work and dedication gone into delivering the project on time. He added: ““This new setting offers a wonderful opportunity for pre-school children to become involved with the wider United Nations Sustainable Development Goals, which introduce children to key issues such as protecting the environment, responsible consumption, interdependence and climate change. 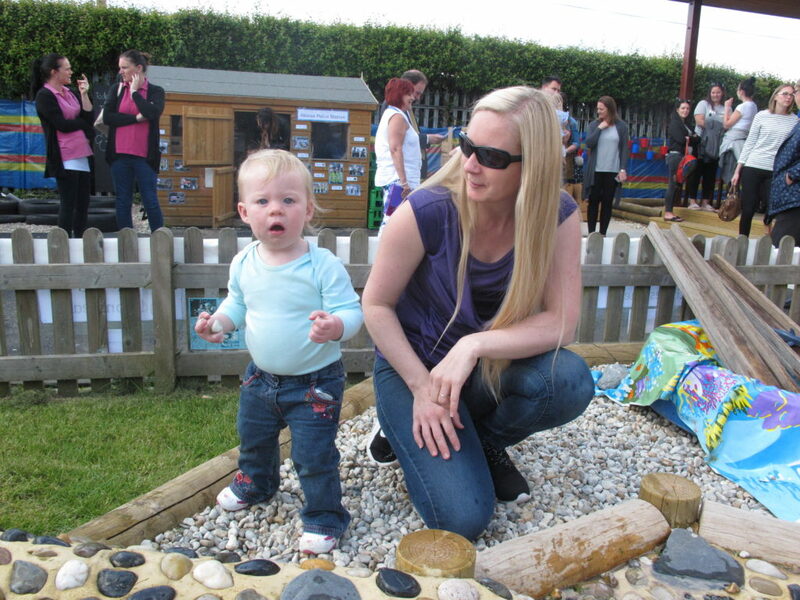 Lisa Evans, nursery manager, said: “We were very excited to launch our new eco-building. It brings together so many different strands to strengthen Abacus Nursery’s position as a leader in setting the standard for early years education. 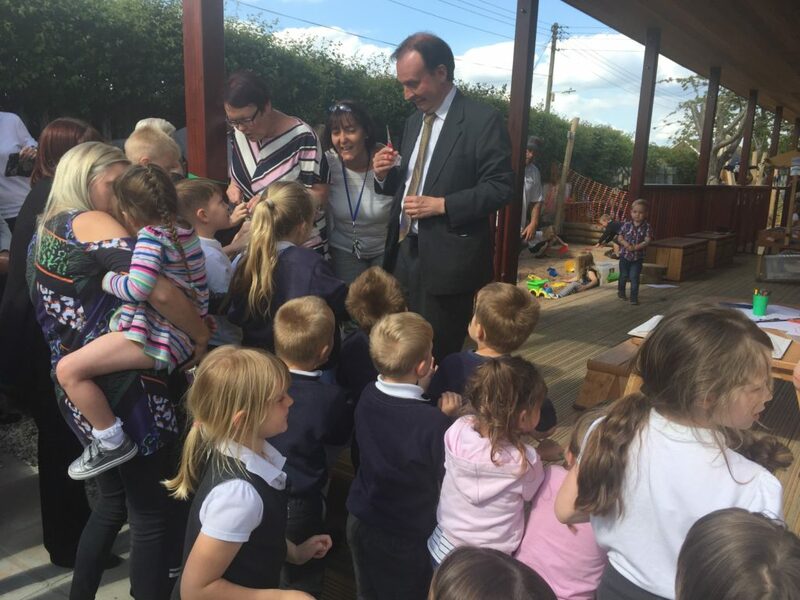 We can support the Government’s drive to provide more funded places for working families while creating an environment that is completely innovative in supporting children’s learning and development. “The bespoke design enabled us to really create a building just with children in mind. The natural flow of the building ensures that a child can access all the areas they wish to while not having to move through corridors/doors. 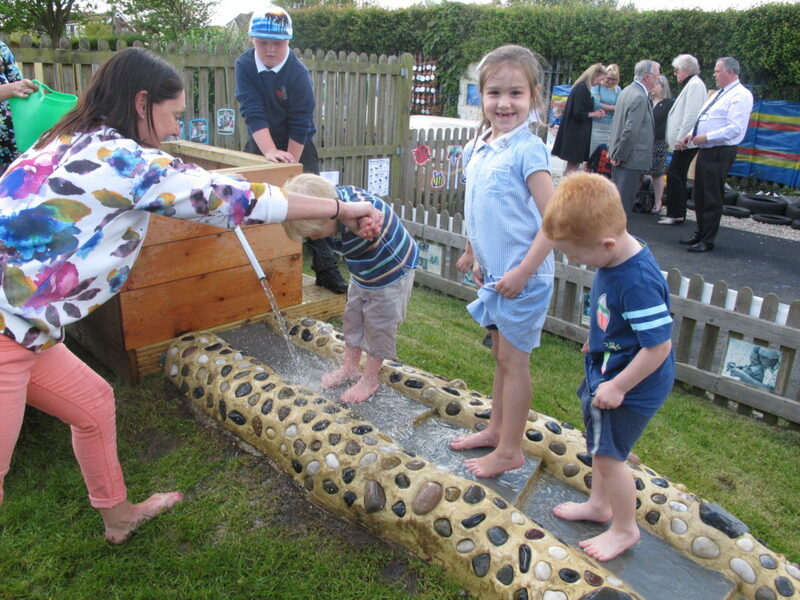 The garden environment truly reflects how children want to intrinsically explore. It gives them the opportunities for creating their own spaces and projects that can be revisited many times over without impacting upon others. The building was designed and created by TG Escapes. Project manager Tom Hillier said: “We are delighted with the result of our work with Abacus Nursery. “Our buildings encourage a connection with the natural world and create opportunities for outdoor learning. We use biophilic design principles, which essentially incorporate natural elements into the buildings at every available opportunity, offering its occupants an opportunity to connect with nature and enjoy plenty of natural light. “Energy efficiency is woven into the fabric of each building, which both cuts down on running costs and naturally stimulates environmental awareness. Abacus Nursery benefits from solar PV panels, which generate energy from sunlight and feeds it back into the grid. This allows it to achieve and A+ energy rating. Infinite Playgrounds provided the landscaping. Abacus Nursery and Childcare Limited follows the principles of the Reggio Emilia approach, which was developed in the Italian city of the same name after the Second World War. The Reggio Emilia approach encourages child-led learning and focusses on children learning through experiences, expressing themselves, and developing relationships with their peers. The nursery offers Breakfast Club and After School Provision for St Nicholas C of E Primary Academy, so is open from 7.45am to 6.00pm. Nursery manager, Lisa Evans, became a member of the KCC Leading Early Years’ team, followed by KCC Peer to Peer support and now sits as the Chair of the Early Years Provider Association and as a member of the Stakeholder and Commissioning Group.